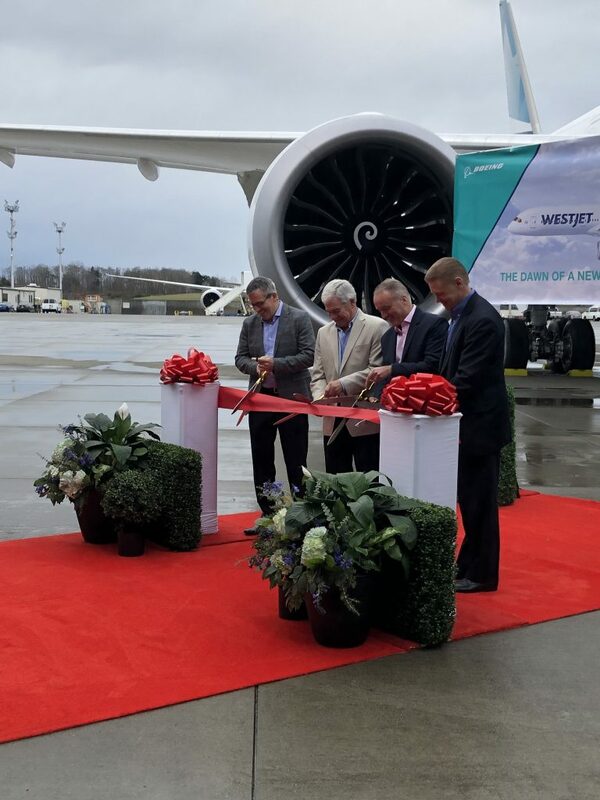 Canadian low-cost carrier WestJet received its first Boeing 787 Dreamliner today in a delivery ceremony held at Boeing’s Delivery Center in Everett, Wash. A logical next step for the Boeing-dominated airline, the Dreamliner marks a new chapter for the 15-year old airline that only started long haul operations in Nov. 2015. 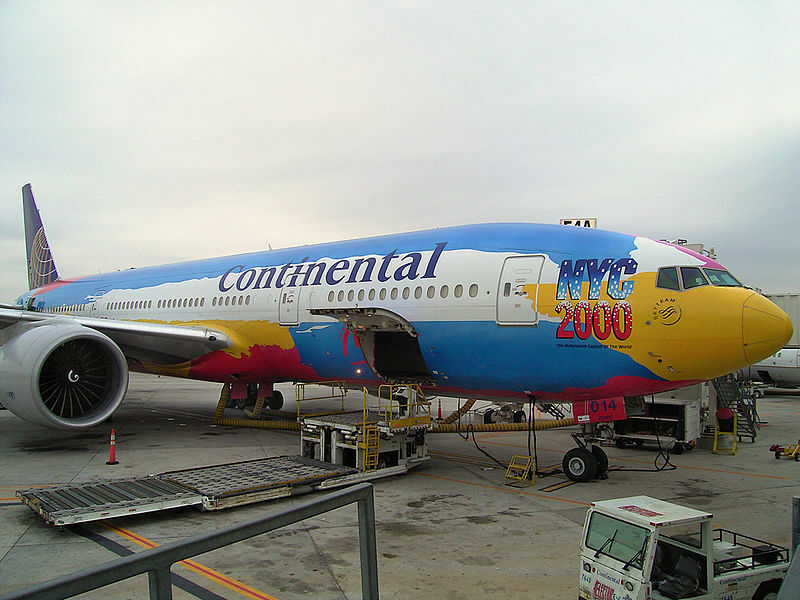 The airline chose the middle child in the Boeing 787 Dreamliner family, opting for the dash 9 variant, which debuted in commercial service in 2014. 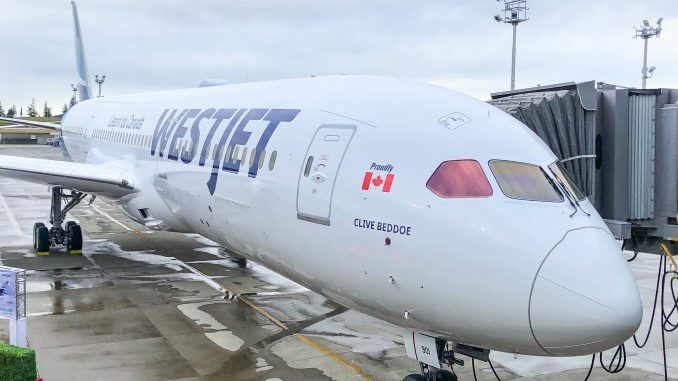 The Dreamliner that was delivered today first took flight on Jan. 6 during its initial test flight and is the first in an order of 10 for the Calgary-based carrier. 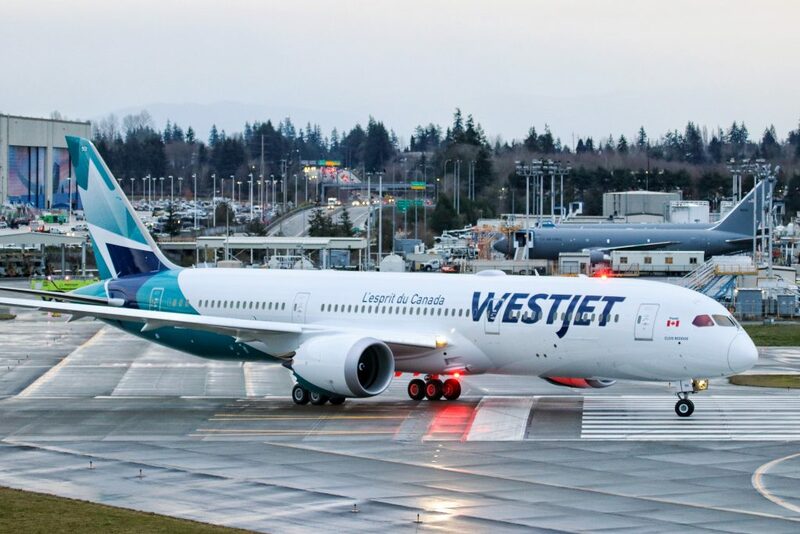 Sporting WestJet’s new livery, the aircraft is now the largest aircraft in WestJet’s fleet and its long haul flagship, joining the Boeing 737 MAX 8 in the airline’s ultramodern lineup. 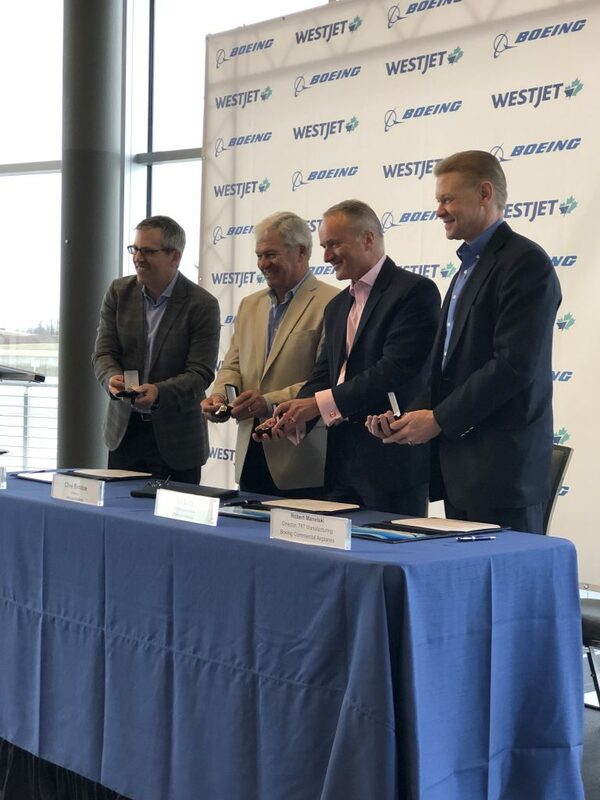 The ceremony was attended by executives from both Boeing and WestJet – including Brad McMullen, Vice President of North American Sales for Boeing Commercial Airplanes and Clive Beddoe, Chairman of the Board for WestJet. 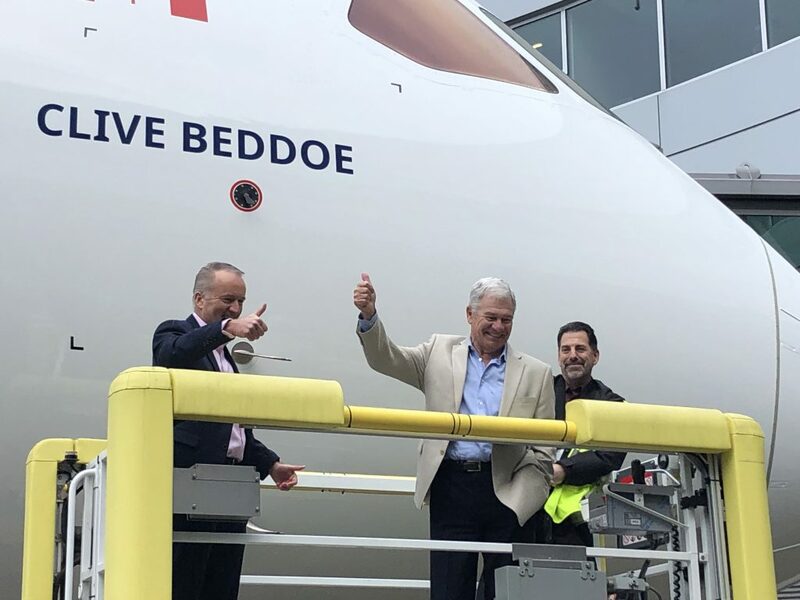 During the ceremony, a ceremonial key was exchanged and the name of the aircraft, coincidentally “Clive Beddoe”, was also revealed. “It’s a historic day, a partnership that started over 20 years ago, we welcome you to the Boeing 787 family,” said Robert Manelski, Senior Director of Operations for the 787 at Boeing. 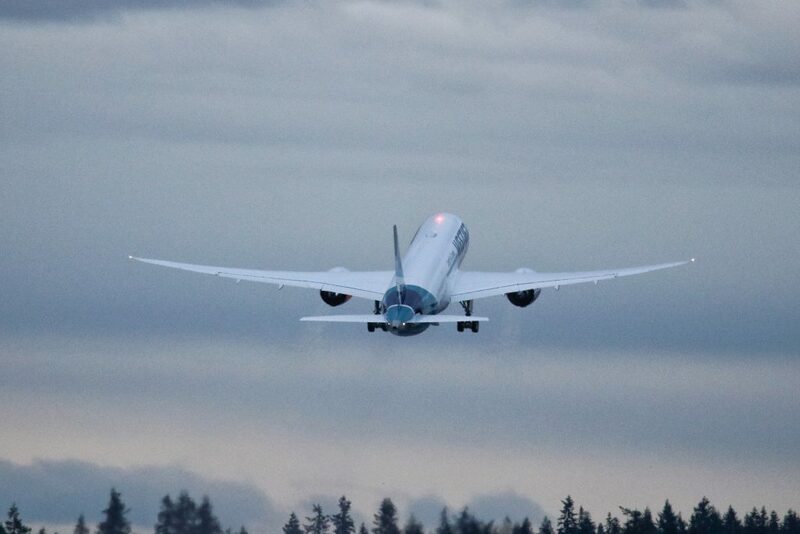 Following the ceremony, the Dreamliner departed its birthplace to its new home north of the border in nearby Canada. When it touched down in Calgary, WestJet officially became only the second Canadian airline to operate a Dreamliner in the Great White North. In just over a month, the aircraft will be flying on one of WestJet’s most popular domestic routes between its Calgary and Toronto hubs. 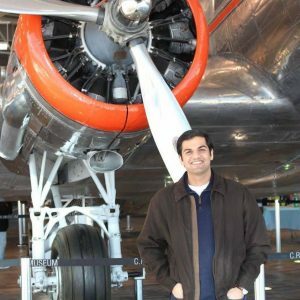 Cabin configuration onboard the new aircraft will feature three classes, a first for the historically economy-based airline. with 16 seats in business class, 28 in premium economy, and 260 in economy. 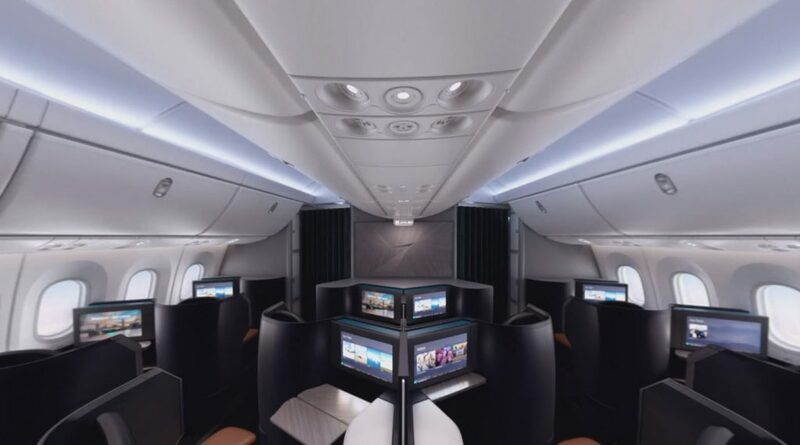 The new 16-seat business class cabin will be the first of its kind for the airline, featuring lie-flat seats aimed at competing with rival Air Canada’s premium product, as well as on-demand dining and turndown service. 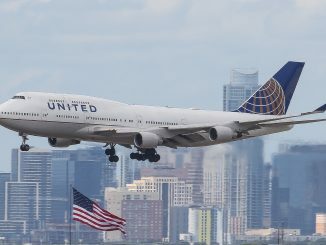 The airline previously only offered a premium economy section dubbed “Plus” on its Boeing 737 and Boeing 767 aircraft, with the Dreamliner marking an end to the airline’s status as an all-economy airline. 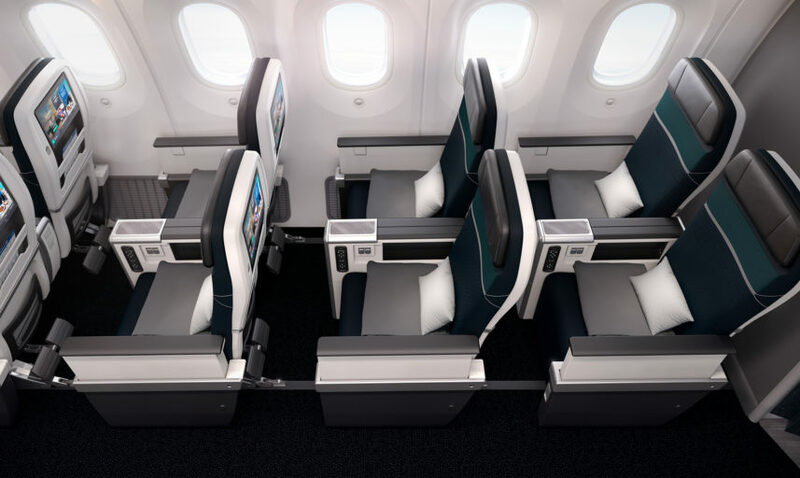 The 28-seat premium economy cabins found on the new Dreamliners are expected to be similar to domestic first class in the United States and Canada, as is the standard for international premium economy products, with seat pitch expected to be 38-inches. 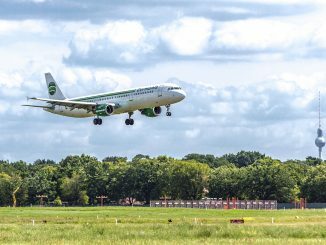 The remainder of the aircraft will consist of 260 economy seats, arranged in the standard 3-3-3 configuration. 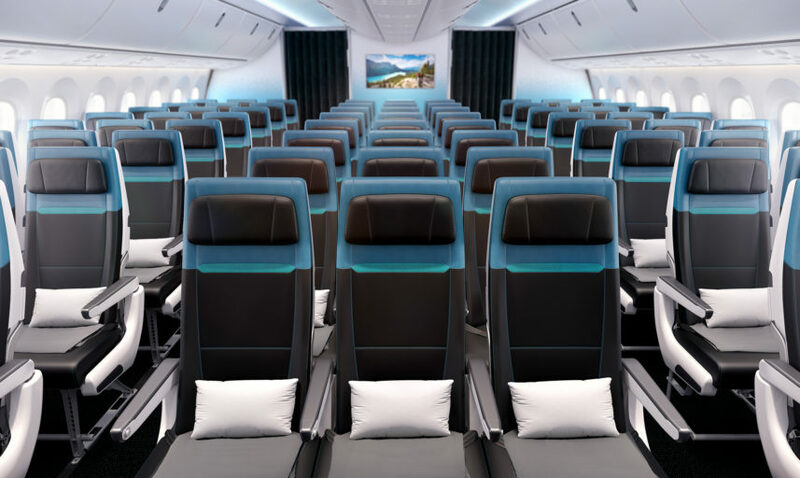 Each seat onboard the 787 will have personal in-flight entertainment systems and power outlets, with additional features in the premium cabins such as a self-serve, walk-up snack and drink bar. 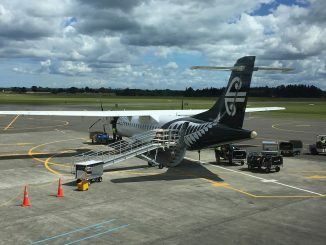 The addition of new long haul aircraft marks a stark shift from the domestic, low-cost strategy the airline formerly solely operated with its fleet of Boeing 737s, similar to that of Southwest Airlines in the U.S., to a now domestic and long haul strategy rivaling that of Air Canada and Air Transat.